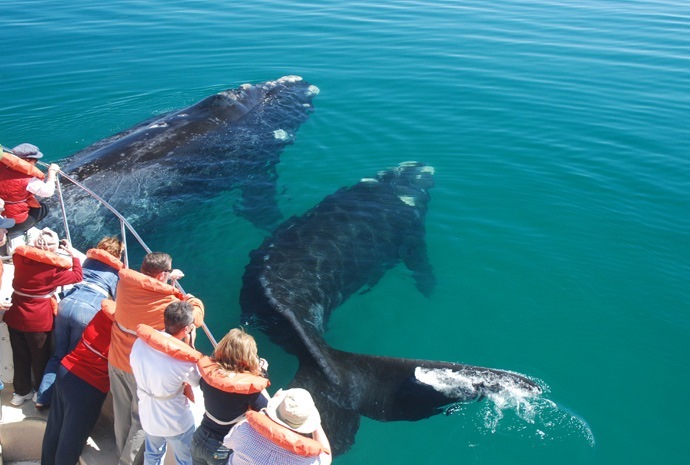 Maybe add a 3 day extension to your Antarctica cruise and visit both Puerto Madryn and Peninsula Valdes. Visit Coastal Patagonia, where the first Welsh colony was established in the 19th century. A haven for wildlife and birdwatching. The first Welsh colony in Argentina. The busy port of Madryn today serves as the main base from which to explore the vast expanses of Patagonia. Sight one of nature’s most magnificent creatures, the southern right whale, as mothers and young whales scythe through the eddying waters off the coast in early spring (August to November). 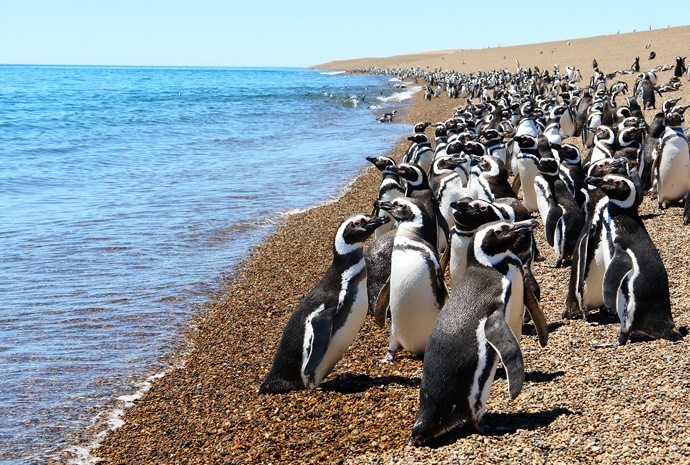 Also a treat in store for nature-lovers are the colonies of penguins, sea-elephants and seals, as well as a profusion of birdlife along the Patagonian coastline. After a day’s outdoor activity, the charm of an authentic Welsh tea beckons with fruitcake, scones and other tempting delights. The coast of the Patagonian province of Chubut cherishes its traditional links with Wales which go back to the times when these arid windy lands were virtually deserted. Port Madryn, as it was subsequently christened in honour of the colony’s founder, was the first Welsh community in Patagonia, quickly followed by Trelew, Rawson, Gaiman and Dolavon. The town’s industrial development grew hand in hand with the construction of the railway network across the country and adjusted to meet demand as the rail business dwindled, to be replaced progressively by aluminium, textiles, technology and tourism. Transfer from Trelew airport to the hotel in Puerto Madryn: Fifty minute drive in a private vehicle with bilingual guide. Assistance with hotel check in. Re-confirmation of onward flight. A full day’s visit to the Peninsula, leaving Puerto Madryn early to drive north through the flat grey expanse of Patagonian steppes where you might see an occasional rhea –South American ostrich- or guanaco or small deer. To enter the national park and nature reserve named by UNESCO as a World Heritage site, you cross a narrow isthmus where you can look out over the immense waters of the Golfo San José to the left and the vast bay of the Golfo Nuevo to the right. At the entrance also lies the San José Fort regional museum with detailed information and photos on all the species of flora and fauna to be found on the peninsula. Some 25km further along the road, Caleta Valdés, a 35km long natural creek embraced by a long narrow promontory is home to a colony of sea elephants who’s grunting and roaring announces their presence at a good distance while they are still no more than amorphous grey shapes against the sand. Enjoy breakfast at the hotel & then full day tour to Estancia San Lorenzo.Head north to San Lorenzo sheeping station, a traditional farm in the area, where, apart from being offered the typical Patagonian lamb on spit, we will visit the Magellanic penguin reserve situated 7km far from the farm-house. 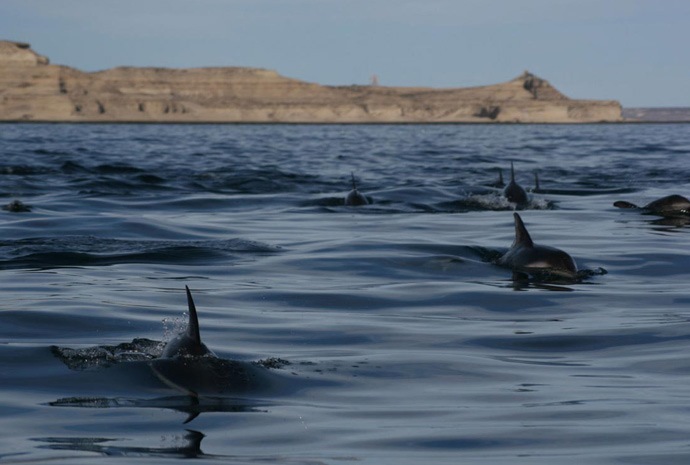 We will also visit the Punta Norte Reserve with its natural habitat for sea-lions and elephant seals and where the orcas’ intentional running aground can frequently be observed. 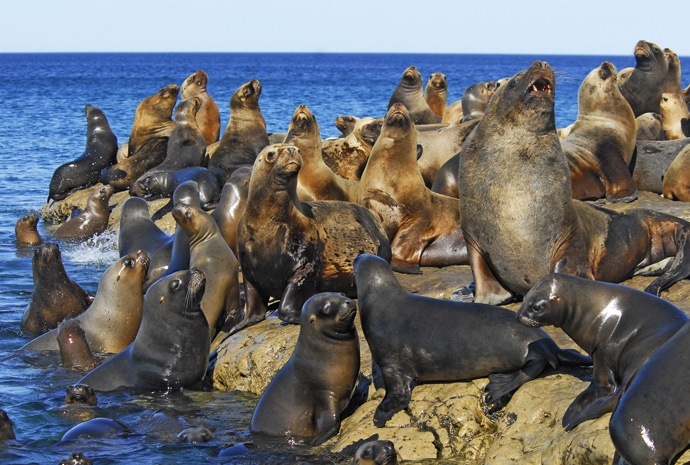 They use this strategy to feed on sea-lions’ pups. From here we head for Punta Cantor to watch elephant-seals and the eastern coastline of the Peninsula with Caleta Valdes remarkable features. 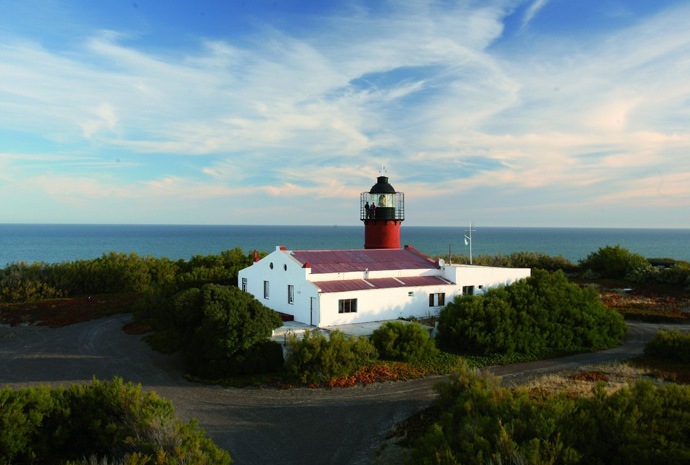 On our way back to Puerto Madryn, we will stop at the Carlos Ameghino Isthmus visitor’s centre. 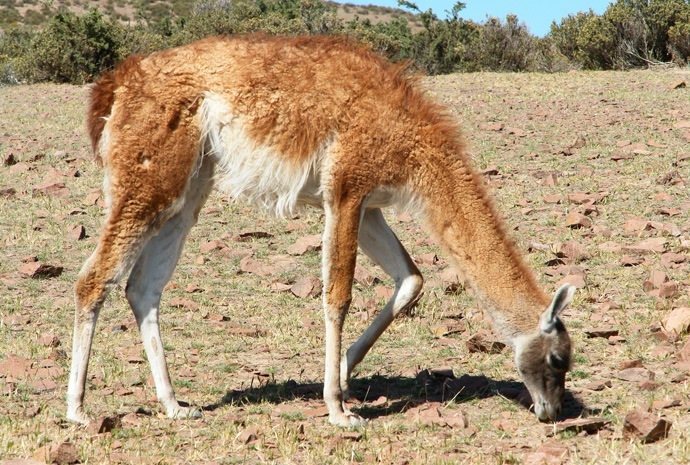 Along the road, we have good chances of coming across land fauna such as guanacos, rheas, foxes, maras, armadillos, and also a variety of birds. Finally we return to Puerto Madryn at sunset. Hotel: Hotel in Puerto Madryn x 1 night. Enjoy breakfast at the hotel & then transfer from the hotel to Trelew airport.